1.50cts of dazzling Carré cut diamonds stunningly set in to a full eternity ring with bar setting across a 2.8mm wide band. This modern Eternity design features a dazzling array of Diamonds. Each Diamond has been precision set into this comfort fit band with the added security of the bar setting. The Carré cut Diamonds have all been expertly matched to F Colour and VS1 Clarity prior to setting. With a total of 1.5 carats in this extraordinary sparkling ring, it is sure to make a statement. For your total reassurance, this finished ring comes with a 60-day return, a lifetime warranty and detailed insurance valuation. 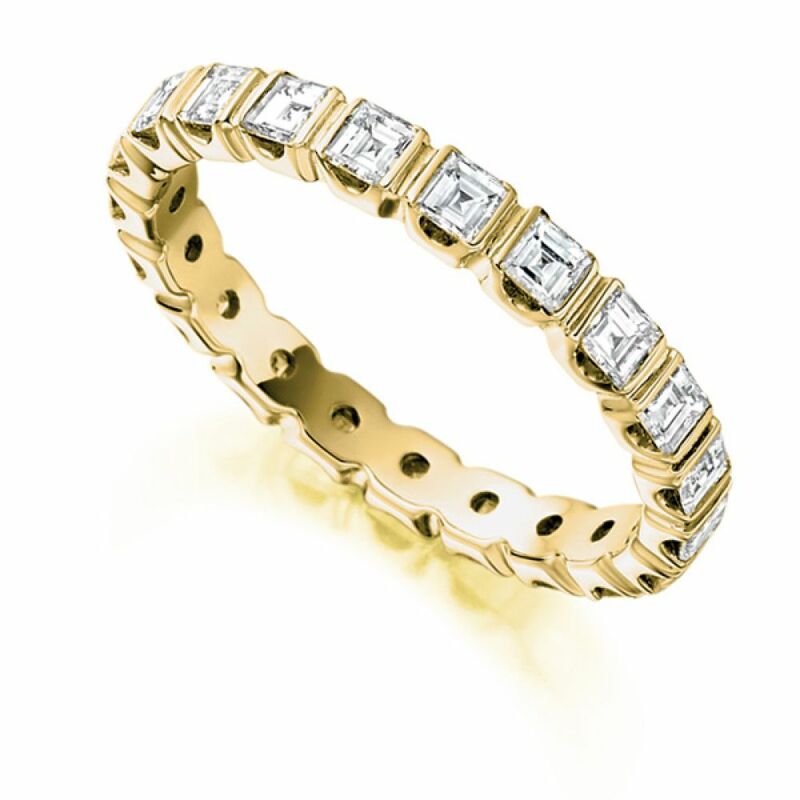 Available in a wide range of precious metals including 18ct White Gold, 18ct Yellow Gold, 950 Platinum, 950 Palladium. Please allow us approximately 4 weeks to craft your ring for you. Your ring will then be delivered straight to your door by a secure courier, presented in our beautiful Serendipity Diamonds packaging.